One of my best sources for tracking down new and out-of-print publications about Central Asia is the Discovery Bookshop, part of Marat Akhmedjanov's Silk Road Media group. Taking advantage of a vast warehouse in Uzbekistan, the choice is astounding. Over the last few years Marat has helped me track down old maps, art books and magazines. So it was such a pleasure when I finally met him in Bishkek earlier this year. Born in 1976 in Jizzakh, an important Silk Road junction north east of Samarkand, Marat is the child of a Christian Ukrainian mother and Muslim Tatar father, both construction engineers. After Uzbekistan's independence in 1991, Marat became the chairman of Jizzakh's Youth Union, the successor to the Soviet Komosol and started learning English. Since then he hasn't looked back. With various collaborators he started Uzbekistan's first model agency, staged the first Uzbek international fashion week show, set up an advertising agency, published a fashion/lifestyle magazine for young Uzbeks, interned at a US travel magazine, was awarded a Masters degree from London's College of Communications and later a postgraduate diploma in publishing. Marat is committed to promoting tourism in Central Asia. He launched Silk Road media to provide global audiences new perspectives on contemporary society, art, history, landscape and peoples of the region. Discovery Central Asia magazine, the flagship publication, was launched in 2002. It is published quarterly. As well as regular columns, each edition focuses on a specific theme, e.g. wildlife, fashion, sacred places, music, cuisine. 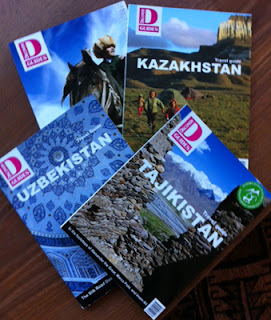 Pocket-sized national travel guides to Uzbekistan, Kyrgyzstan, Tajikistan and Kazakhstan are available in German, French and English. 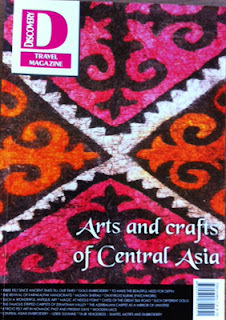 In 2009 the quarterly magazine Open Central Asia, devoted to Central Asian cultural, political and economic events was launched. Its editor-in-chief is Nick Rowan, whose book, The Friendly Steppes, an account of his journey from Venice through Eastern Europe, Iran and the steppes of Central Asia to China is due out late 2012. Marat's team organised the first Discovery Central Asia Travel Forum this year in Bishkek. It brought together tour operators, hoteliers, guides, government agency staff and tourism experts from the region and further afield. Next year's forum will be in Dushanbe, Tajikistan's capital, from 27 - 28 April. Although based in London, Marat returns frequently to Central Asia, where Silk Road has bookshops in Tashkent, Almaty and Bishkek. He has organised film screenings of the award-winning documentary The Desert of Forbidden Art, about the Savitsky collection of Russian modernist art in Nukus: hundreds of people in Central Asia now know about Igor Savitsky and the story of his extraordinary collection thanks to Marat's efforts. 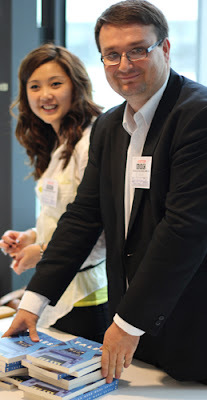 Silk Road Media regularly participates in travel and book fairs, promoting the uniqueness of the region, the hospitality of the people and their cultural heritage. He also gives a voice to contemporary Central Asian writers through his publications. 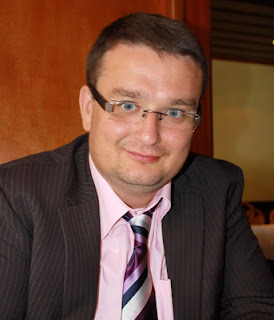 In a very positive way, Marat Akhmedjanov is a mover and a shaker on the Central Asian tourism and publishing scene. And even for a small-time customer like me, he goes out of his way to find whatever I am after.